Aerojet Rocketdyne and Sierra Nevada Corp. have concluded a four-month study that focused on modifying advanced solar electric propulsion vehicle concepts for future human exploration missions and deep space habitation. Sacramento, Calif.-based Aerojet said Wednesday it supplemented Sierra Nevada’s Lunar Gateway concept with an SEP module for the Power and Propulsion Element study under NASA’s Next Space Technologies for Exploration Partnerships-2 program. Aerojet’s SEP module includes power generating solar arrays, power distribution and management components, and a maneuver system. NASA intended PPE to demonstrate the ability to operate a 50-kilowatt SEP system and transfer 27 kW of power across a standard interface to a deep space habitat. 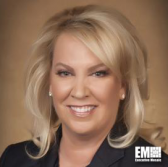 “Utilizing electric propulsion for habitat assembly and operations will provide substantial mass savings in propellant, resulting in decreased mission costs and long-term sustainability,” said Aerojet CEO and President Eileen Drake. Aerojet and Sierra Nevada are also working on Appendix A of NextSTEP-2, which focuses on developing prototypes of a deep space habitat system.